Beautiful, durable hardware that adds a little something special to your home. Thirty years ago the word “hardware” conjured up images of nuts and bolts, hinges, nails and screws. Today, hardware commonly refers to cabinet knobs, drawer handles, bathroom towel bars, or doorknobs. These finishing touches define the style of a home and reflect the personality of the homeowners. Discover a great selection of hardware options at each of our showrooms. 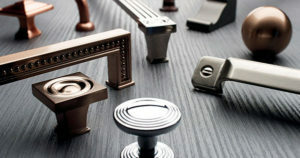 Our hardware style options range from traditional, contemporary, farmhouse, and more. Von Tobel designers will help guide you through the choices. Whether you need kitchen cabinet door hardware, bathroom finishes, or home entrance accessories and hardware. Von Tobel makes it easy to find the perfect door hardware. Superior door security with built in style. Enjoy convenience and security with Schlage electronic and keyless solutions. Sophisticated door handle and lock accessories from Schlage are built to last. See them at your local Von Tobel showroom. Quality details that make a house a home. 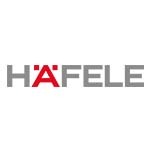 Häfele’s collection of top-of-the-line hardware, organization solutions and home accessories will make life easier while enhancing your interiors. All of these innovative pieces are made from the best quality materials with smart design in mind. 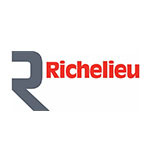 Richelieu’s new collection of decorative hardware brings together a diverse selection of over a thousand new knobs and pulls created from distinctive materials in stunning shapes. Their products are always crafted to offer the utmost in quality and innovative design to last a lifetime. The Jeffrey Alexander line offers a large variety of decorative cabinet and drawer hardware. A wide variety of design series and hardware finishes is sure to meet the requirements of any discerning decorator, be it for the kitchen, bathroom, laundry room, furniture, vanities, or pantry.